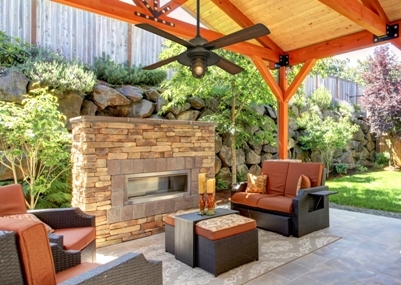 Enjoy your outdoor space as much as your indoor living area with beautiful, sophisticated, lighting and ceiling fans stylish enough to make you feel right in home. Regardless of the season, it is becoming common to turn a patio, deck or outdoor space into an additional family room with modern amenities and beautiful furnishings. These days, it’s not unusual to see rugs, televisions, sofas and chandeliers used outside. ALA-member lighting manufacturers are making this transition easier with expanded lines of decorative lighting and ceiling fans rated for all-weather use. 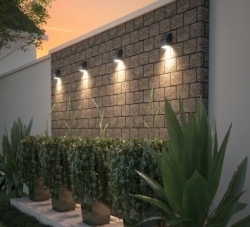 The trend of accessorizing outdoor areas with traditionally indoor lighting products has gained momentum over the last several years. It started with eye-catching landscape lighting, followed by sconces and decorative fans, with many of the newest outdoor lighting lines featuring all types of fixtures. While it’s fairly commonplace to use sconces to highlight doorways and step lights to define spaces, today’s homeowners are also hanging elaborate chandeliers and colorful pendants over outside tables. Spotlights can be seen above grills and down lights under covered patios. With a little creativity and imagination, just about anything goes. And the demand is increasing for those fixtures to mimic the styles and attention to detail traditionally found indoors. 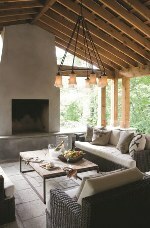 Learn more about lighting your outdoor space in new videos from ALA and Better Homes & Gardens. 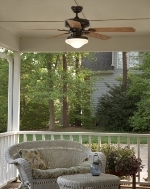 Just because the newest outdoor lighting fixtures and ceiling fans are beautiful, do not think they lack the engineering to withstand harsh temperatures and extreme weather. High-quality outdoor fixtures are designed for reliability and endurance. The newest outdoor fixtures from ALA-member manufacturers are able to withstand whatever Mother Nature throws at them. Besides extreme temperatures, quality outdoor lights and fans are engineered to be rained upon. Rain will not collect inside the fixtures, it will drain out. A typical interior fixture is not made that way. Additionally, new technology incorporates the fixture finish directly into the material to optimize the ability to hold up in any kind of circumstance. As for which finishes are on trend and hold up best, look for something rustic. Also popular are metallics, particularly copper, which weathers in such a nice way that it actually gets better with age. 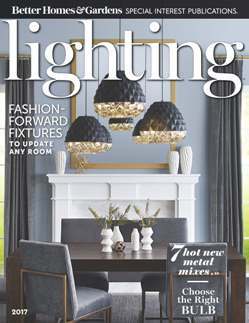 Stop by an ALA-member lighting retail store to see what's new in lighting. What's on the horizon for outdoor lighting in the next five to 10 years? One of the biggest trends will be the influx of LED technology. Also, you will see slimmer profiles and more creative designs for outdoor fixtures. Homeowners will continue to trend toward simplification of design -- fixtures with clean, simple lines that are more contemporary. 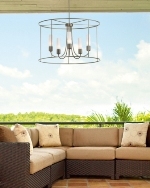 Visit ALA online for more about outdoor home lighting. If you have questions about lighting your home, click here to ask an expert via email. To find an ALA-member showroom near you, click here.